On the left, a counterfeit product and on the right, an official Admiralty publication. Counterfeits are everywhere. The UK Hydrographic Office, UKHO, has issued a warning that fake Admiralty charts are in circulation which, because they are not official publications, do not meet carriage requirements of the International Convention on the Safety of Life at Sea (see Chapter V, Regulations 2.2 and 19.2.1.4 of the Convention). Likewise their carriage may not satisfy the requirements of (and may be contrary to) the local laws of Flag State Authorities and Port State Controls. Says UKHO: “Counterfeit products have not undergone the rigorous checking procedures which take place for official products and they cannot be trusted in the same way. Their use may increase the safety risk to vessels, crews and cargoes”. The UKHO is asking users, inspectors and regulators to be vigilant. If there is any suspicion that an Admiralty product is a counterfeit, the UKHO requests that it be informed. Details of where and when the product was purchased, photographs and ideally the product itself are all useful in identifying the source. The UKHO will actively seek to stop the production and sale of counterfeit copies of its products. The UKHO has produced this guide to help identify genuine Admiralty products. Suspicious charts can be compared to existing stock. Genuine charts bear the Admiralty “Flying A” watermark within the paper, which can be seen by holding the chart up to the light. A suspicious chart may not be folded correctly. This can be checked by comparing its folds to a similar sized Admiralty chart. The ‘look and feel’ of a suspicious chart can be compared to a genuine Admiralty chart. If the ink on a chart looks to be a different colour tone, weight or feel then it is probably a counterfeit copy. Every Admiralty chart carries a ‘thumb label’ strip on the reverse of the chart that contains the Admiralty logo, the chart number, the geographic area featured, a barcode and date. Check the height – all Admiralty publications within the same category are the same height (e.g. all Sailing Directions are all the same). The height of a book can be compared to others in the same Admiralty category. 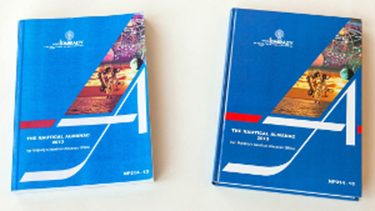 All Admiralty publications are printed to identical print standards. If a publication looks different to a genuine publication, it is almost certainly a counterfeit. Please note that the Admiralty branding is changing and so comparisons need to be made between publications carrying the same branding. The quality of the print can be inspected. If a book has uneven pages, inconsistent margins, variable ink strength or unfamiliar paper it is almost certainly counterfeit. The binding can be checked. Genuine publications are tightly bound. Counterfeit publications may have a weak spine and even text on the inside of the spine. The cover can be checked. All genuine Sailing Directions are hardbound and all genuine Lights Lists are limp bound. A new edition can be compared to the previous edition to see if there are differences in look and feel.